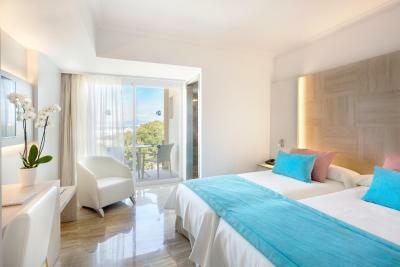 Lock in a great price for Grupotel Orient – rated 8.3 by recent guests! Early check in was available bonus when travelling from overnight ferry. I stayed in Taurus Park **** while was not Hight season for go to the other hotel, I liked the cleanliness of the Hotel and different services in the facilities like at the bar in the lobby to the view of the Swimming Pool, nice spa with sauna and jacuzzi, fantastic meal in H.B. breakfast and dinner with very good and different food. The hotel has very fresh and modern condition. The suites are bright and have all the conveniences you might need + the staff is very kind and always trying to be helpful in any questions. 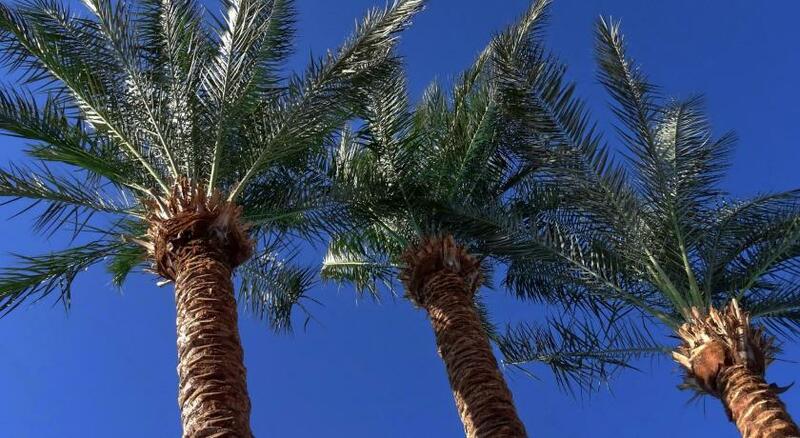 The location is nice - the beach is only two blocks away from the hotel, max 7 min walk. There are lots of shops and bars in the surrounding, and also it's only 7 min drive from the airport. The staff were very helpful at checkin into the hotel. I was only staying for one night and check out was at midday, but my flight was at 10pm. So I was pleased that i was able to keep my luggage in their luggage room facilities and use their gym, pool and bike hire services after checkout. The room were perfectly clean and all the staff were so helpful with all my questions. I'm looking forward to staying there again as it was so well located to the beach and airport. We had a wonderful experience at Groupotel Orient. The staff is very accomodating, nice and helpful, going the extra mile to give us the best tips and advice. We were a bit worried about the hotel being a bit toofar from the beach but it is actually just a 5 min walk and then there’s the plus side of being away from all the crazy, in a lovely and quiet hotel/ region. We slept with the window open and you could not even hear a buz. Food was excellent as well, plenty to chose from and varied and yummy. I am a foodie while by partner is a gym instructor with a clear food plan/ habits and we were both happy with the choices we had. Every evening there were live music (covers mostly) and programs which we enjoyed which was perfect especially from the rom balcony...lovely view too, especially in the evenings with all the lights. Good choice if you want to stay in a more quiet place a bit away from the bar streets. The hotel is really nice, 3 min down to the beach. Staff is also good, we got a room right when we arrived in the morning even though check-in is only at 14. Amazing Dinner Buffet, was surprised by how much choice there was, including meats and fished cooked on grill in front of you! Breakfast also fantastic! The Pool and Restaurant staff were exceptional! Very friendly! 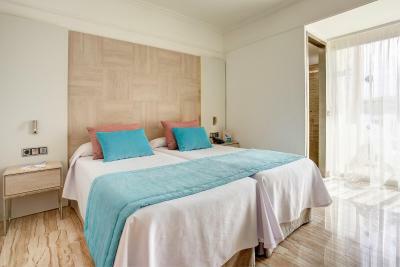 The room was nice and comfortable and rooms were cleaned daily! 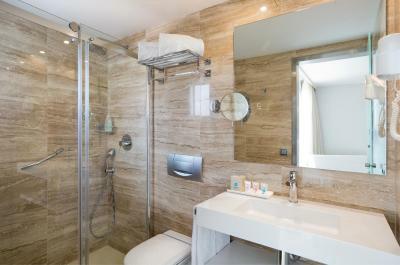 Grupotel Orient This rating is a reflection of how the property compares to the industry standard when it comes to price, facilities and services available. It's based on a self-evaluation by the property. Use this rating to help choose your stay! 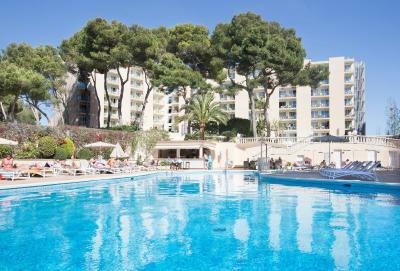 The Grupotel Orient is set in a quiet area, just 1,650 feet from Majorca´s Playa de Palma Beach. It offers indoor and outdoor swimming pools with sun loungers, a gym and a sauna. 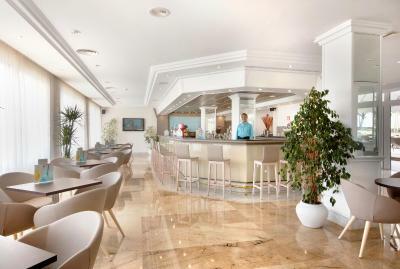 The hotel has good access to Palma city center, and the airport is just 3.1 mi away. 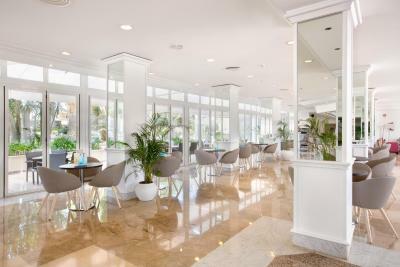 There are also many shops and bars in the Palma Beach resort. 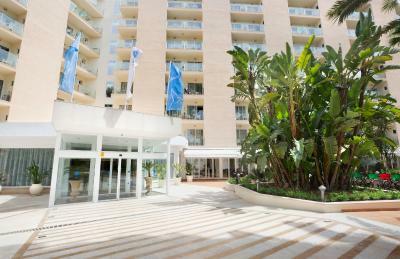 Grupotel Orient has adapted access with ramps. 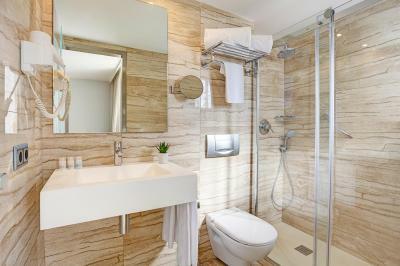 It offers spacious, air-conditioned rooms with private bathrooms. They all have a balcony, a music channel and satellite TV. The hotel’s buffet restaurant serves local and international dishes. 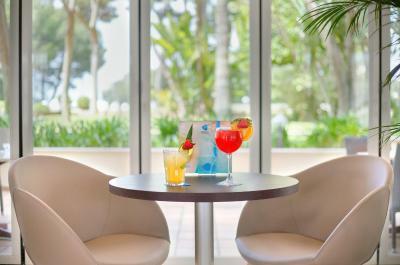 There is also a lounge bar with terrace. Live entertainment takes place in the evenings. The hotel has a children’s club, internet corner and mini golf. A courtesy room with shower is also available after check-out. Additional facilities are shared with Grupotel Taurus Park hotel, located 100 feet away. 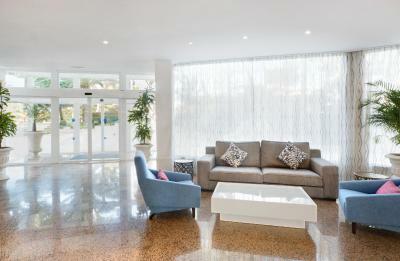 Guests have free access to the tennis courts, gym and a spa. The hotel rents bicycles and tennis rackets. 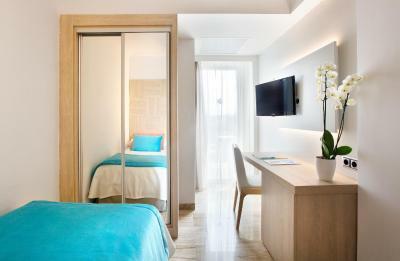 When would you like to stay at Grupotel Orient? 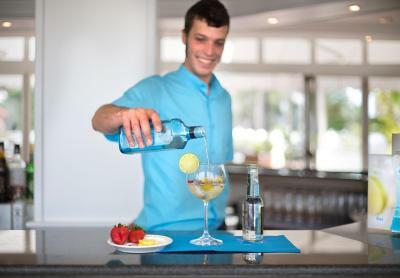 House Rules Grupotel Orient takes special requests – add in the next step! Grupotel Orient accepts these cards and reserves the right to temporarily hold an amount prior to arrival. The buffet dinner was not to my taste, little variety and poor quality. I guess the choice for a bathroom door that does not fully close ( there is space between the door and wall) is not really a good choice. The beds kinda slide on the floor so if you move from one to the other you cand slip between them. Having to rent a key for the in room safe from Reception - this should be included in the price. Gym equipment was a bit old and could do with replacing. the corridor was quite noisy. so, sometimes it was hard to sleep during the night! From what other reviews say it be very noisy, but as to be expected in a hotel. Also my room was right beside the storage room so sometimes housekeepers would wake me up with the noise in there.